Supercharge your first generation Apple TV. Is there a better alternative to aTV Flash (silver)? Is aTV Flash (silver) really the best app in System category? Will aTV Flash (silver) work good on macOS 10.13.4? aTV Flash (silver) is a user-friendly software package that supercharges your Apple TV, unleashing a plethora of new functionality. Don't worry about the technical details aTV Flash is simple to use and safe for your Apple TV. Installation is a snap and doesn't require any physical changes to the Apple TV. Enable your Apple TV to play more video formats such as AVI, MP4, WMV & many more. Visit your favorite sites, check email, and update Twitter all on your TV. Your couch is your new workspace. Store all your DVDs on a single device for easy viewing. Includes support for menus, special features and full 5.1 surround sound. 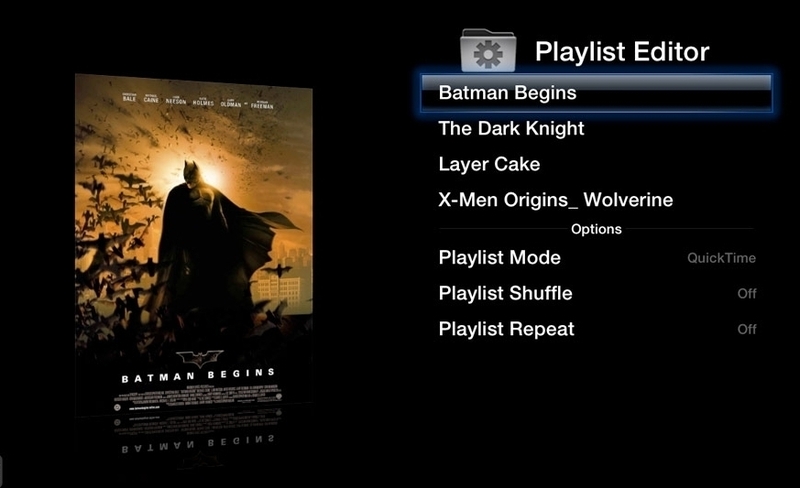 Keep tabs on your newly accessible media with custom playlists, which can be looped or shuffled as you please. Automatically download cover art and other metadata for your media files. Find new artists you'll love by accessing Last.fm radio stations, artist bios and slideshows. Drag and drop media onto your AppleTV or even stream it from most NAS devices. Includes support for FTP, SMB and NFS protocols. Extend the functionality even further by adding applications such as Firefox, Hotspot Shield, XBMC and Boxee. Use an iPhone, iPod Touch or iPad to take control with the intuitive Remote or Remote HD apps. Keep track of all your favorite news and blog sites by viewing RSS feeds on your AppleTV. Updates are easily installed with just a few clicks through the native AppleTV menus.